Cost of living refers to the amount of money required in order to sustain a certain standard of living in a particular location. If you are considering moving to a new city, you will find this type of information to be very useful in helping you determine if relocating would be feasible for you given your projected income. 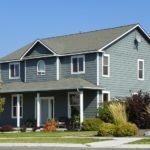 The basic expenses that are factored in when the cost of living of a specific location is calculated include housing costs for renters and homeowners, utilities, food and groceries, transportation expenses, healthcare, and taxes. The cost of living index is a good reference for anyone who wants to have a better idea whether the place that they are interested in relocating to would be affordable for them or not. This shows the percentage variance in the cost of living between two or more locations, with the cost of living of the primary location that is being compared to another having a constant value of 100. For example, if you currently live in Charlotte, NC and you are planning to relocate to Winston-Salem, the cost of living index for your current location which is Charlotte would always be 100, while the figures for Winston-Salem would either be higher or lower than 100, depending on whether the items being compared to those of Charlotte’s are more expensive or cheaper in Winston-Salem. Located near Greensboro, North Carolina’s fourth-largest city has strong ties to both the tobacco industry and furniture making, its history dating back to the 1750s. The Twin City is a destination for wine lovers, with more than 35 wineries in the city and its surrounding areas. Winston-Salem is also a great place for recreation, with 75 parks and 12 golf courses. 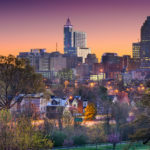 If you are considering moving to Winston-Salem, NC, it is practical to check the cost of living index in this city so you can make an informed decision about your relocation. 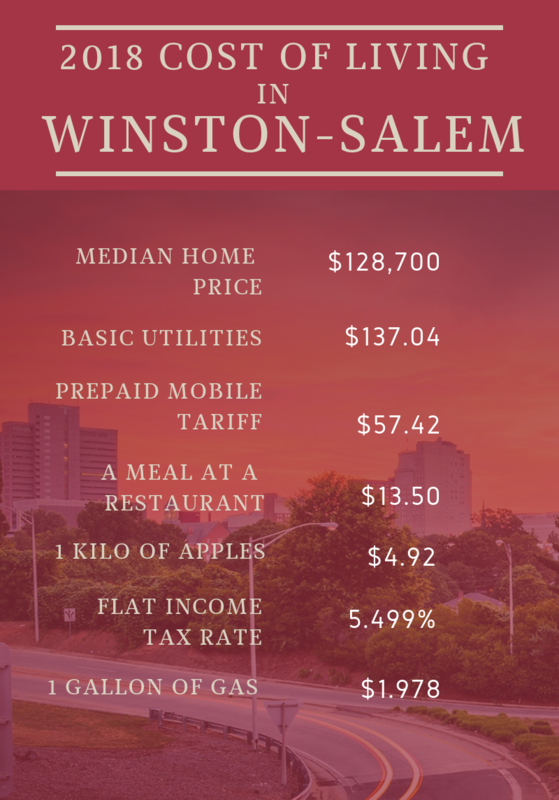 The table below compares the cost of living in Winston-Salem with the rest of the state of North Carolina and the United States. The primary location is the United States, so all of the values for this is set at a constant 100, and the values under Winston-Salem and North Carolina will be higher or lower than this constant, depending on whether the costs in these locations are higher or lower compared to the rest of the country. The overall cost of living in Winston-Salem is 87, much lower than that of the rest of North Carolina which is at 96. From the table, you can see that almost all of the expenses in the Twin City are lower than those of North Carolina and the whole of United States, except for healthcare. Let’s take a look at each of these costs in more detail. In Winston-Salem, the median home price is $128,700, whereas the state median home price is $175,600 across all residential properties. On the state level, the average price of one-bedroom homes is $108,000. For two-bedroom homes, the median sale price is $120,000, while three-bedroom residences are around $163,000. 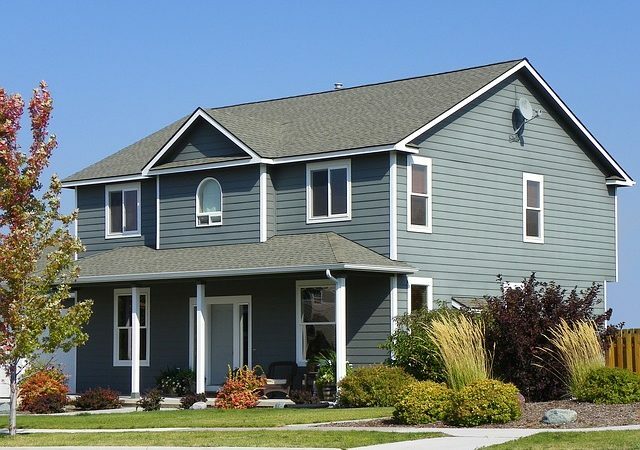 Four-bedroom homes sell for an average of $273,000. Rent in North Carolina is more affordable compared to the national average. Studios rent for an average of $984, while the average rent of a one-bedroom apartment is $815. If you are looking to rent a two-bedroom apartment, the average rent is $933. The rent for three bedrooms is around an average of $1,119 per month. Utilities expenses in the Twin City are lower than those in the state of North Carolina and the United States by two and three points, respectively. According to Numbeo.com, basic utilities such as electricity, heating, cooling, water, and garbage collection for a 85 square meter apartment costs around $137.04. Prepaid mobile tariff per minute for local calls costs $0.10 (excluding discounts and plans). And the average cost of unlimited internet is $57.42. If you would like to see the difference in the costs of dining out versus cooking your own food at home, eating a meal at an inexpensive restaurant in Winston-Salem would be around $13.50, while a three-course meal for two people at a mid-range restaurant would cost an average of $50.00. A combo meal at McDonalds is at $7.00. A regular cappuccino costs $4.01, while a 0.33 liter bottle of Coke or Pepsi costs an average of $1.68. Preparing breakfast at home? A liter of milk costs an average of $0.71, a loaf of 500g white bread $2.44, and a dozen of regular eggs at $2.05. If you prefer to cook your meals than eat out, a kilo of white rice would cost $4.08, a kilo of chicken breast fillet at $8.82, a kilo of beef at $11.82. For fruits and vegetables, the average prices per kilo of apples is $4.92, bananas at $1.38, and oranges at $4.38. Tomatoes cost $4.41, potatoes at $2.41, onions at $2.56, and a head of lettuce at $1.50. North Carolina is one of eight states in the US with flat income tax rates, with the highest flat tax rate at 5.499%. However, despite this, NC has the 20th-lowest property tax rate in the country, at 0.84%. It is important to note that local governments are in charge of setting property tax rates, so there is variation from county to county. Unlike all the other expenses, which are lower compared to the national average, healthcare in North Carolina is higher by ten points relative to that of the entire country. 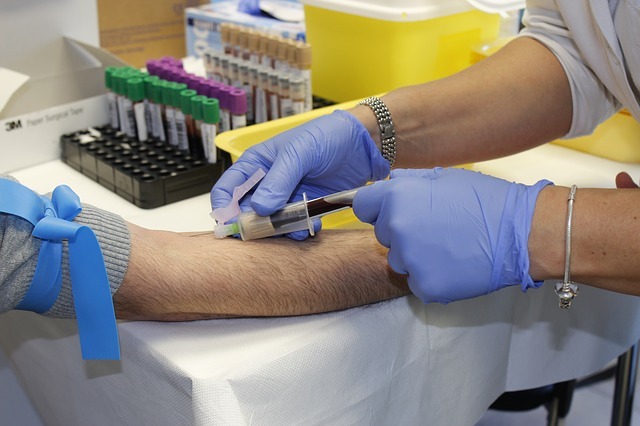 An article from Blue Cross Blue Shield of NC explains why this is so. One of the reasons for the higher cost of healthcare is because North Carolina has large regions with only a few major health care providers, and some areas are dominated by only one hospital system. This lack of competition is one of the factors that increase the costs of care. Another reason is the overall health condition of North Carolinians. Obesity-related issues like diabetes and heart disease are major problems in this state, and these health conditions require long-term use of expensive prescription medicines, as well as costly medical testing and procedures. In addition, almost one in five North Carolinians is a smoker, which is higher than the national average of about 17.5 percent. According to GasBuddy.com, the average price for a gallon of gas in North Carolina is $1.978. That’s a little under the national average of $2.002. Commute times in this state is about the same as the national average, as well. According to the Census Bureau, the average time to travel to work in North Carolina is 23.6 minutes, while the national average is 25.5 minutes. 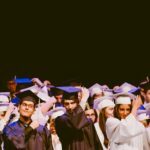 If you are considering relocating to Winston-Salem, NC, it would be best for you to know how the change in residence is going to affect your budget. 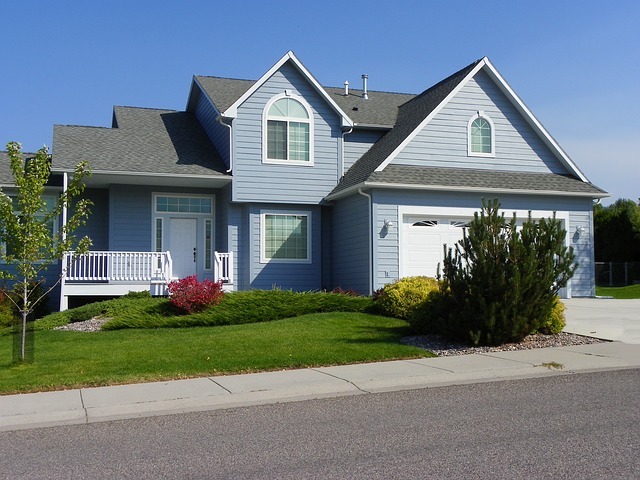 And if you are planning to buy a home in the Twin City, a qualified and trustworthy real estate professional will be your best partner in helping you make the right decision. I can help you achieve your dream of home ownership in Winston-Salem, please feel free to give me call at 336.978.4745 or send me an email [email protected].